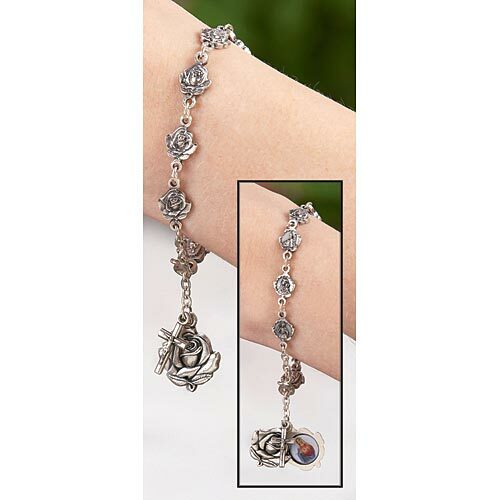 Take advantage of a long wait in line with this lovely rosary bracelet! Composed of metal rose beads, each featuring the image of a different saint underneath, and a crucifix dangle. Beads feature the following images: St. Joseph, Our Lady of Guadalupe, St. Theresa, St. Francis, St. Pio, Madonna and Child, Sacred Heart, St. Benedict, Divine Mercy, St. Anthony and the Guardian Angel.